The exhibition aims to examine the different stages that led a certain young artist, of twenty years of age, at the beginning of the 1960s to seek to ‘remove any form of expression contained in the artwork to reduce it to a material fact.’ He then went on to appropriate astrophysics, nuclear physics, and mathematical logic, and took a break of 5 years before finally returning, albeit unexpectedly, to his easel. 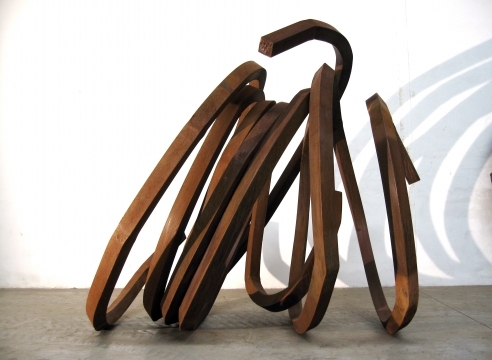 These paintings were followed by sound works, poetry, and later by indeterminate lines, accidents, random combinations, and dispersions, culminating in the indefinite and curved lines of the monumental sculptures in Corten steel, dedicated to the urban space. 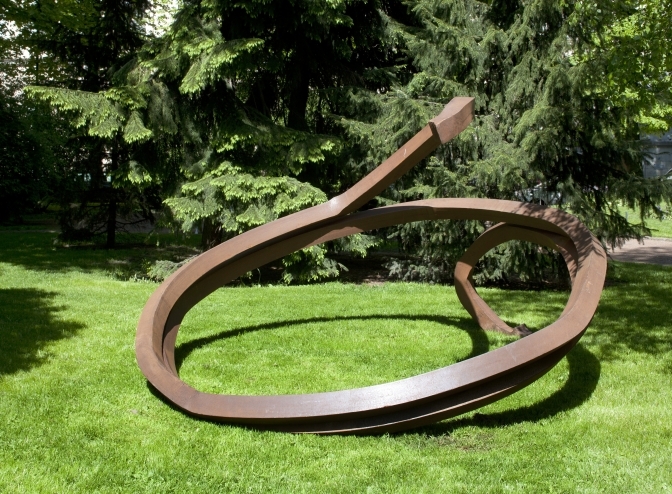 Bernar Venet’s protean work remains little known today, partly because it is partially exhibited, in certain ‘periods’ or selected regarding a specific medium (his works made using tar, and steel sculptures, etc.). Today, it deserves to be seen in its entirety so that the public can gain an insight into the scale, ambition, complexity, poetry, and simplicity of his work. When one retraces the artist’s career, we uncover the context in which it was born (the appearance of happenings in 1959, Nouveau Réalisme [New Realism], Fluxus and the Nice School in the 1960s, the ‘invention’ of minimal and conceptual art in the United States, where Bernar Venet settled as early as 1966), as well as the relevance and quality of its creation. The exhibition is curated by Thierry Raspail.